Computer simulations have greatly evolved with progress in computer science over the past few decades. With origins in a math experiment during WWII, simulation technologies now have widespread applications in various industries ranging from healthcare to manufacturing to entertainment. Simulation tools have found numerous successes and advantages in education, being used for teaching, training, and testing applications. As computer technology continues to improve, simulations will become more immersive and will continue transforming applications in education. The history of modern digital simulation can be traced back to WWII. Mathematicians John Von Neumann and Stanislaw Ulam used newly developed computing techniques to model nuclear detonation for weapon design . Their experiments were very successful and simulations became very popular, finding applications in other industries. However, building and running simulations was very difficult and took a lot of time during this period. Simulation technology continued to improve in the 1960s as computer scientists made dedicated efforts to develop the capabilities and potential applications of simulators. In 1960, the first industrial plant operations simulator was developed. The first simulation conference, the Winter Simulation Conference, was held in 1967. Computer scientists gathered to discuss and document simulation languages. Simulation tools gradually gained traction, with new uses in industrial training emerging over the following decades. 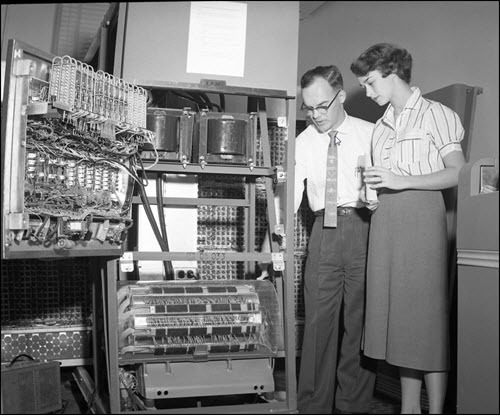 The introduction of personal computers made this format of learning both practical and widely accessible. Real-time simulation and sophisticated 3D simulation environments were developed in the 90s and incorporated into training software as computer hardware improved. Today, simulations are widely used in various industries for educating due to their numerous advantages. Simulation tools offer many advantages compared to traditional teaching methods. They are able to demonstrate abstract concepts, allow interaction between users and simulated equipment, and provide users with feedback that allow users to improve their knowledge and skills. They are also cost-effective over the long-term. Simulation tools can transform abstract concepts into interactive visual content, making it easier for students to understand the performance and relationship between different system parts. They can become familiar with the equipment and environment, and practice necessary skills without risking accidents to themselves, the equipment, and the environment. A wide variety of scenarios are available for students to experiment in, such as emergency events, so that they are able to execute the appropriate procedures when these events occur in the real world. Students are able to reinforce theoretical knowledge with hands-on-training through simulation tools, giving a better understanding of the material. Simulation tools can track student progress and provide standardized feedback that can aid in developing skills. They can also offer targeted skill development—students can choose which skills to improve on and receive specific training resources, and educators can also control the content. Training materials can be easily updated, developed, or modified, and training can be done regardless of time or place. Inability to access to physical training equipment is no longer a problem as simulated equipment is always accessible. Simulation based technical training is cost-effective in the long-run, but the initial cost of creating them can be expensive. A high level of knowledge is needed to create the models and scenarios used in training. However, simulation tools save money by increasing the rate of skill development which reduces training time with physical equipment. This limits machine downtime, reducing impact on workplace productivity. These tools also allow students to train and experiment in a safe and controlled environment, avoiding the possibility of damage to themselves and expensive equipment. They are also reusable, and removing the necessity for equipment can reduce the cost of a course or program. Overall, as technology improves, simulation tools will continue to deliver realistic and immersive training scenarios, making them an indispensable and inexpensive educational tool. There are many studies that prove that the use of simulations has improved learning. The effectiveness of a simulation largely relies on the accuracy of the simulation. While simulations can be difficult to create, these models provide important feedback to the student in real time when accurately and realistically constructed. Effectiveness also varies depending on the type of task being learned. There are key components of simulation training tools that make them effective, such as the addition of multimedia and the availability of immediate feedback. These features add to the interactivity of simulations, and helps users stay engaged in exercises. Multimedia components such as text, audio, images, animations, video make the simulation tool more immersive. Research, such as the study completed by S. Jay Samuels and Yi-Chen Wu, indicates that immediate feedback is incredibly effective in helping students understand content and improve performance as they can immediately learn from their mistakes. Simulation tools used for education can be found across numerous industries, with new uses being implemented as technology continue to improve. Many training applications involve training for high-risk or dangerous situations that would be difficult to train for in the real world. 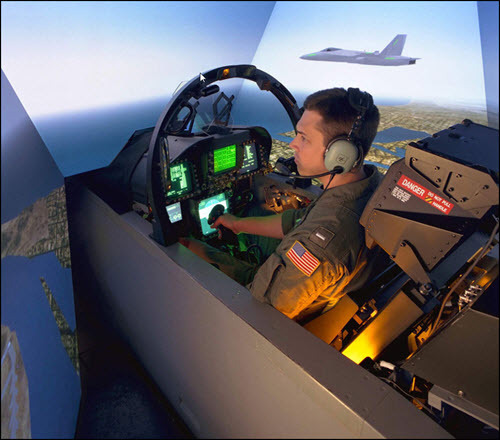 In the field of aviation, pilots-in-training spend many hours practicing in flight simulators before flying in a real aircraft. Within the simulator, they can become familiar with aircraft controls, and practice flying in different weather and landing conditions. Air traffic controllers also learn with simulation tools. Other areas of the transportation industry have also begun to adopt simulators for technical staff training. Medical students and professionals use simulation tools to practice surgeries, crisis interventions, and administer prescriptions. First Aid training involves practicing CPR on a programed dummy that is equipped with simulation tools. This provides students with real-time feedback on their performance to help continuously improve their techniques. Mathematicians, game theorists and economists use simulation to model and analyze probabilities and statistics in theoretical events. They can also build models that closely match real-world situations, apply various tests and variables on this situation, and gain insight into the real world. Manufacturing plants include simulation tools to plan, design, and train automated process and manufacturing systems such as PLCs. Simulators are also being used to train staff in kinematic controls in the field of robotics. George Brown College’s School of Continuing Education uses simulation software in their online technical training certificate programs to provide hands-on-training for automation, robotics, electronics, electromechanics, and PLC students. Many more examples of training with the use of simulators can be found across several different fields, with new applications emerging every year. With new improvements in technology, new opportunities to apply simulation-based education and training will emerge across several industries. 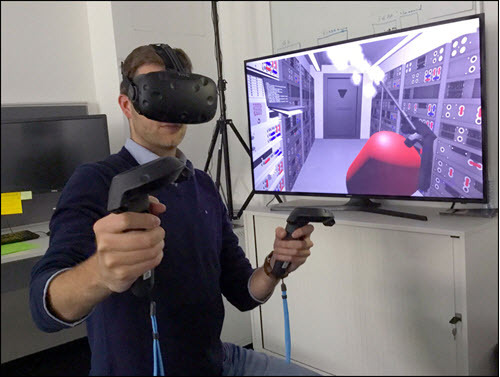 The recent development and usage of virtual reality for training already has positive results, with research indicating that training done through VR is more memorable than training though text and video content. VR has been found to be best suited for cognitive skill and psychomotor skill training relating to remembering and understanding spatial and visual information, and visual scanning skills. Simulation-based training is already heavily integrated into some industries, and this trend shows no sign of slowing down. Newly developed automation systems will still require human feedback and interaction. Workers can be trained in these new systems through simulated equipment and environments. As machines continue to replace humans in dangerous tasks, the ability to direct and control those machines will be incredibly important. Delivery services are beginning to use drones to drop off packages to clients. These will require extensive training to use, and the cost of hands-on learning will be expensive. Military uses for simulation software will continue to present themselves, as infantry are already conducting portions of their training in simulated environments. As the effort to minimize human casualties in warfare continues, remotely controlled vehicles and arms will be used in growing proportions. As with unmanned delivery vehicles, the cost of these devices and the nature of their function make simulation a much more practical and cost effective means of training. Overall, simulation technology has made incredible progress since its WWII origins. Its original uses have expanded out of experimentation and disrupted and transformed methods of education. Currently with applications in teaching, training, and testing across numerous industries, simulation technology will only continue to improve to become more realistic and immersive to provide users with an incredibly rich learning experience. Although technology is progressing at such a pace that predicting the future is difficult, one can be certain that educational simulation tools will play an important part of that future. Harrison, R. L. (2010). Introduction to Monte Carlo simulation. In AIP conference proceedings (Vol. 1204, No. 1, pp. 17-21). AIP. Eckhardt, R. (1987). Stan Ulam, John von Neumann, and the Monte Carlo Method. Los Alamos Science, 15(131-136), 30. Mourtzis, D., Doukas, M., & Bernidaki, D. (2014). Simulation in manufacturing: Review and challenges. Procedia CIRP, 25, 213-229. Lateef, F. (2010). Simulation-based learning: Just like the real thing. Journal of Emergencies, Trauma and Shock, 3(4), 348. González Vega, N. (2002). Factors affecting simulator-training effectiveness. Jyväskylä studies in education, psychology and social research, (207).